GLDS > Products > SALE! 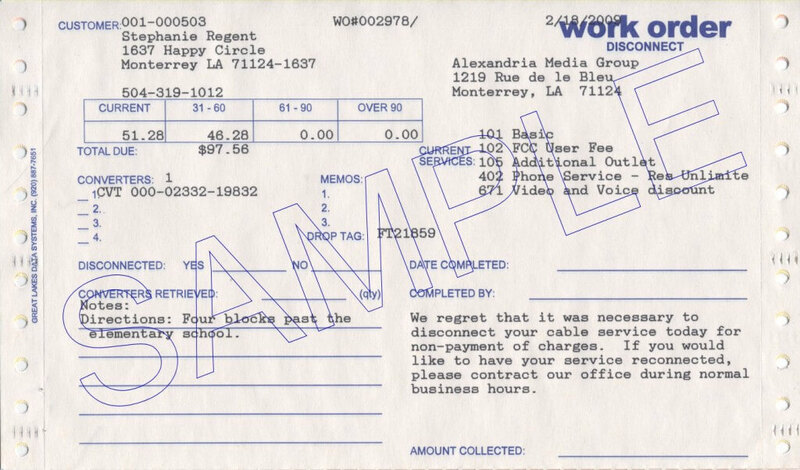 These 8.5″ x 5.5″ work order forms have three parts and are specifically designed for non-pay work disconnection. The extra (third) copy can be left at the subscriber’s residence. There is a place for A/R aging, directions to the home, current services, retrieved converters, amount collected and a short message. Requires dot-matrix printer. This is the lowest-cost solution for billing, but also the most limited. 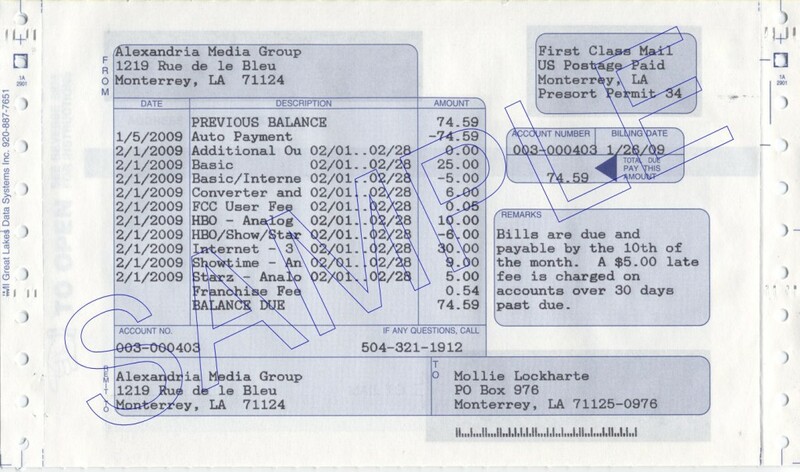 Coupons are designed to be printed once a year and mailed to subscribers. Each coupon includes the customer name, account number, due date and amount due for each subscriber, as well as a summary of subscription services. Requires dot-matrix printer. These handy forms provide a pre-addressed return envelope for payments and eliminate envelope stuffing. 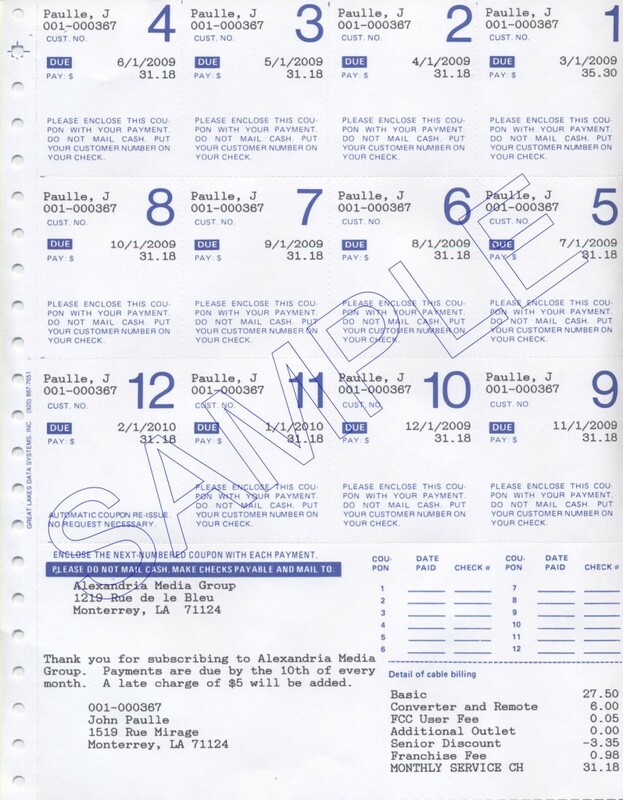 POSTNET barcodes and mail permit numbers can be printed on the bill. This multi-part form requires a dot-matrix printer.